I never worried about ticks when I was growing up. Although I do remember my parents saying our family dog had a tick once; ticks weren’t mentioned often and I hadn’t seen one. I didn’t realize how lucky I was, until later. You see, I grew up in Western Washington State where ticks are rare. I also didn’t hike as a kid. And, as a child, I wasn’t responsible for our pet’s safety so nasty critters like ticks weren’t even on my radar. 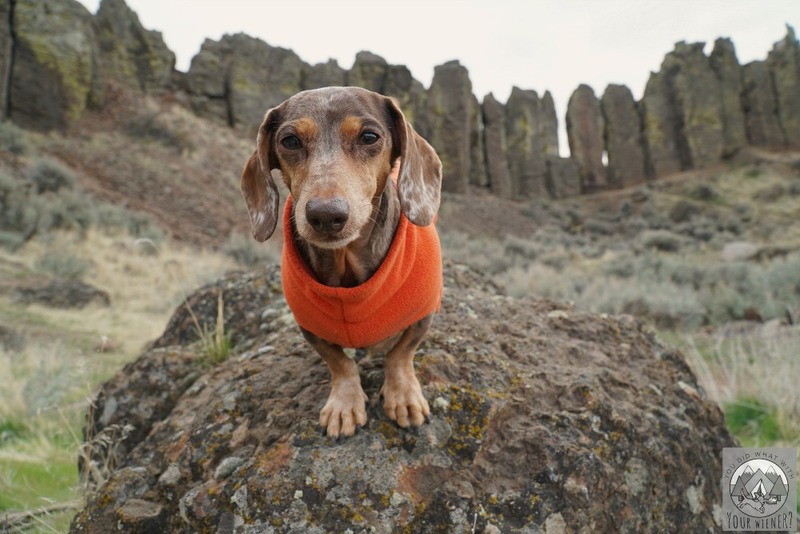 When I started blogging about Chester and Gretel many years ago, I learned more about pet care in other areas of the country. Ticks are a big deal in a lot of places. As it turns out, they’re actually a big deal not far from home, too. Just over the mountains in central and eastern Washington, they can be really bad. For most of my hiking life, I’ve hiked trails in Western Washington. When I did venture east, I was blissfully unaware of the danger. I’ve hiked most of the trails around the Seattle area and recently I’ve been venturing to other parts of the state for variety. Gretel and I recently hiked the very popular Dog Mountain trail in southern Washington State. Ticks are common along that trail. I was paranoid the whole time were were hiking and, coincidentally, I found an engorged tick on our kitchen floor several days after that hike. I’d checked myself and Gretel several times and didn’t find any ticks but there it was – a disgusting, bloated tick right on our floor. I’m not positive it fell off of Gretel or me because we were dog sitting in our home and I didn’t know what part of the state our guests may have traveled to. The denial part of me said it had to come off of one of them. 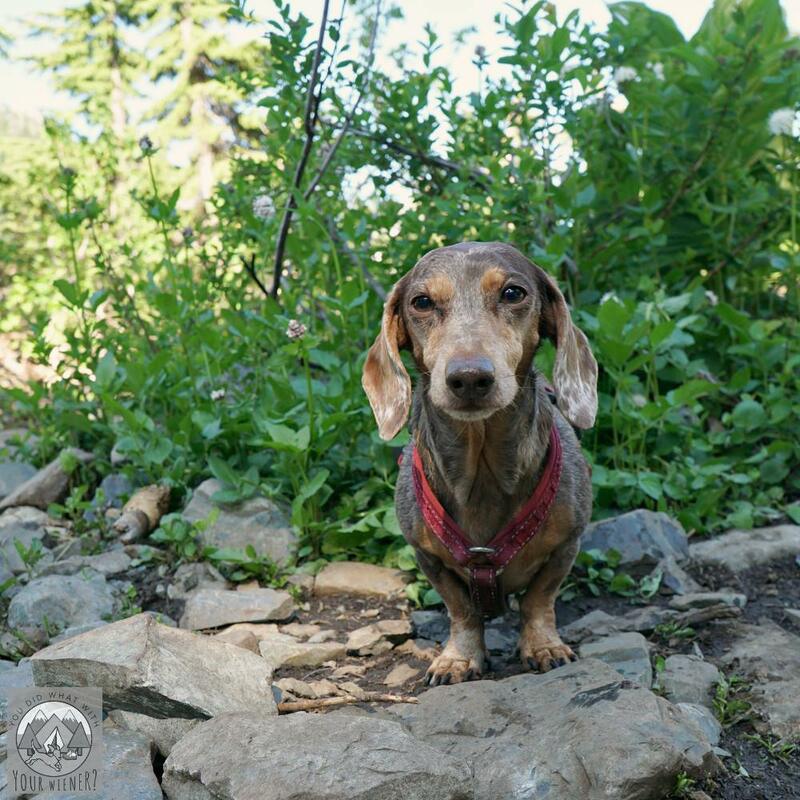 Last year, I hiked the Diablo Lake trail in the North Cascades with Gretel and she got bitten by a tick. Technically, the trail is on the west side of the mountains so I didn’t expect ticks to be there. But, lo-and-behold, Gretel started really scratching when we got in the car. I checked her and found a tick embedded in her groin. It was still flat and brown so it hadn’t been there long, and I was able to remove it with the head still attached, so I wasn’t too worried. It definitely made me reconsider my choice not to use a tick repellent on Gretel though. What really shocked me was, a couple of years ago, I took Chester and Gretel for an urban hike in a forested park in Seattle. A couple of days later, I discovered Chester had a “skin tag” that ended up being an engorged tick. 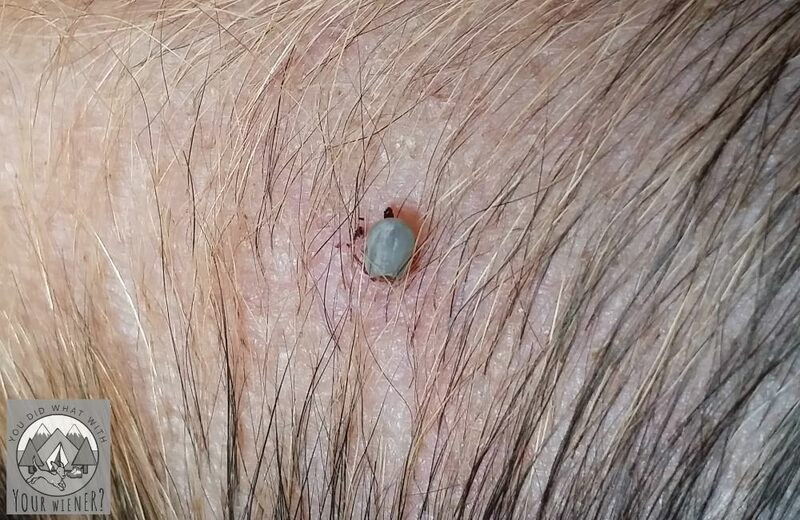 If someone had asked me if I was worried about ticks in that area I would have told them that’s “crazy talk,” but there it was, plain as day. 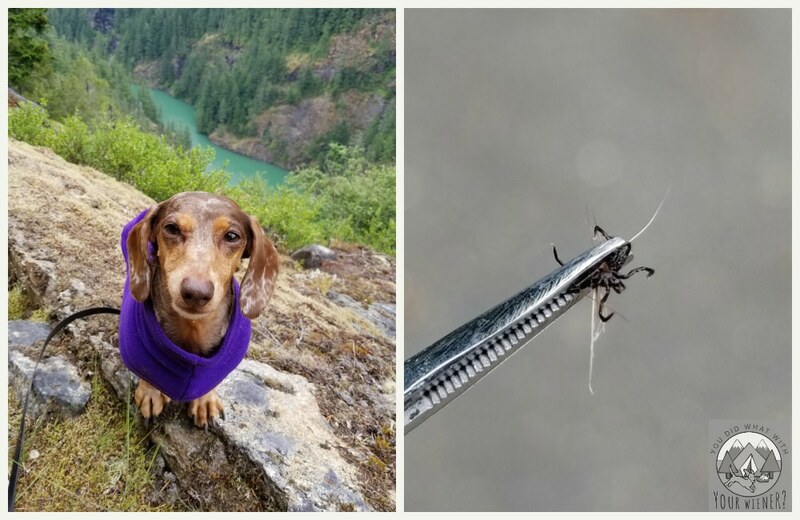 Not only are we spending more time where ticks live and hide, but they are becoming more common near our home in Western Washington. I started to feel like it was irresponsible for me to continue to pretend ticks weren’t a threat to my dogs. In addition to ticks being really, really icky a tick bite can be dangerous. Ticks carry many diseases that they can pass along to humans and animals. According to the Washington State Department of Health, ticks in Washington State can spread diseases, although relatively few compared to some areas of the United States. For more details about these diseases, and to learn about the number of cases of each reported in Washington State each year, check out the Washington State Department of Health website. Your or your dog can contract these, and other diseases, in other areas of the United States. Visit the CDC’s Tick-borne Diseases webpage to find out more. Tick prevention is the best way to guard you and your dog from contracting tick-borne diseases. A tick can only transmit the disease if they bite so keeping them off of your dog is key. There is really only one way to prevent ticks on your dog though – a topical repellent. If you’ve been reading my blog, you know my former career was protecting the environment and I like to use 100% natural products when I can. Honestly though, some things I don’t mess around with. Bug repellents are one of them. When I decided to get serious about tick prevention, I chose Vectra® 3D for Dogs. 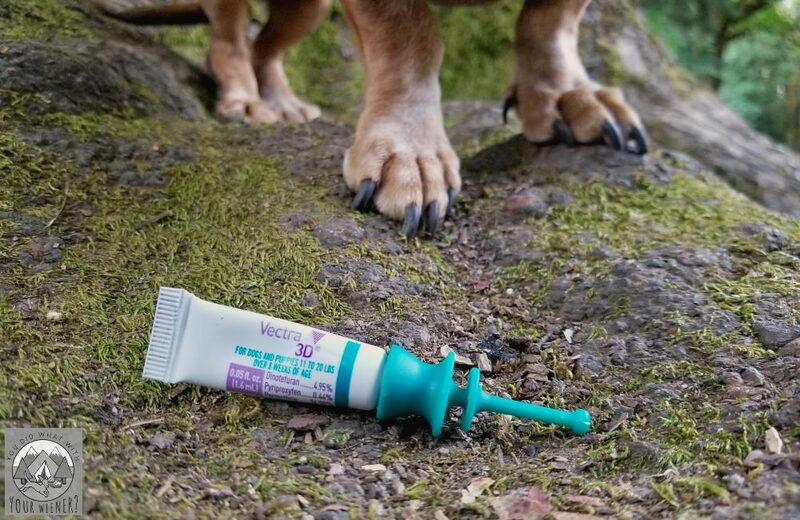 Vectra® 3D is a triple-action formula of Dinotefuran, Pyriproxifen and Permethrin, which work together to kill ticks on contact, and repels them, before they bite your dog. I looked at the ingredients with a critical eye before I made my final choice. Primary active ingredient: Permethrin. Permethrin is a synthetic form of an insecticidal compound produced by the chrysanthemum flower and biodegrades quickly in contact with soil and water. Put directly on the skin, typically less than 1% of active ingredient is absorbed into the body. Supporting active ingredient: Dinotefuran. Dinotefuran disrupts an the insect’s nervous system and results in the cessation of feeding within several hours of contact and death shortly after. It mostly affects flies and is nontoxic to mammals. It’s not absorbed by the skin and is quickly eliminated from the body (in urine) if accidentally ingested. Supporting active ingredient: Pyriproxyfen. Pyriproxyfen mimics a natural hormone in insects and disrupts their growth, primarily affecting insects and eggs. It’s considered low in toxicity for humans and other mammals. I liked that the primary active ingredient is just a man-made version of a natural insect repellent and all have low to zero risk of toxicity, especially when formulated and used correctly. Most topical flea and tick treatments require a tick to bite before they die. The problem is, ticks are hard to find. They can be very, very tiny so you can’t even see them, they hide in hair, or hide in nooks and crannies you can’t see. I would rather the ticks not even hitch a ride on Gretel in the first place. Since Vectra® 3D repels and kills ticks before they can attach or bite your dog, and ticks need to attach to spread disease, it reduces the risk of Gretel getting a tick-borne disease to almost zero. Although I chose Vectra® 3D specifically because it repels ticks, mosquitoes can be terrible on the trails and campground around here so they are a major concern for us, too. In fact, Chester was bitten by so many once that he had an allergic reaction and his face swelled up. Vectra® 3D reduces the amount of mosquitoes that land on your dog by more than 80%. In addition to ticks and mosquitoes, Vectra® 3D kills fleas (adults, eggs, larvae and pupae), biting and sand flies, lice and mites (excluding mange mites). A single treatment protects for one month, even if your dog swims or gets a bath, so it’s super convenient for our on-the-go lifestyle, and it’s super easy to apply (watch the video to see me put it on Gretel). We’re so busy in the summer that time flies by but I signed up for the Vectra® 3D reminder service so I wouldn’t forget to reapply. Vectra® 3D is available through your veterinarian. Click here to find a Vectra® 3D vet near you. Important: DO NOT use Vectra® 3D on cats. If your or your dog do get bitten by a tick, don’t panic. DO NOT burn it, twist it, or smother it; that can cause it to spit more saliva into your dog, which carries any diseases a tick may have. Watch this video for the proper way to remove a tick. It’s always a good idea to wipe the bite area with alcohol to sterilize it. Keep the tick in a sealed container while you keep an eye out for a bullseye rash or other signs and symptoms of lyme disease. Also pay attention to how your dog is acting and call your vet immediately if you see signs that your dog might not be feeling well. By keeping the tick, you can also inspect it closer and use this tick identification guide to help identify what type it is, send some information and a picture to Tick Spotters for identification, or mail it to a laboratory that does tick testing and identification. Knowing what type of tick you or your dog were bitten by can tell you what common diseases that species of tick carries in your area. 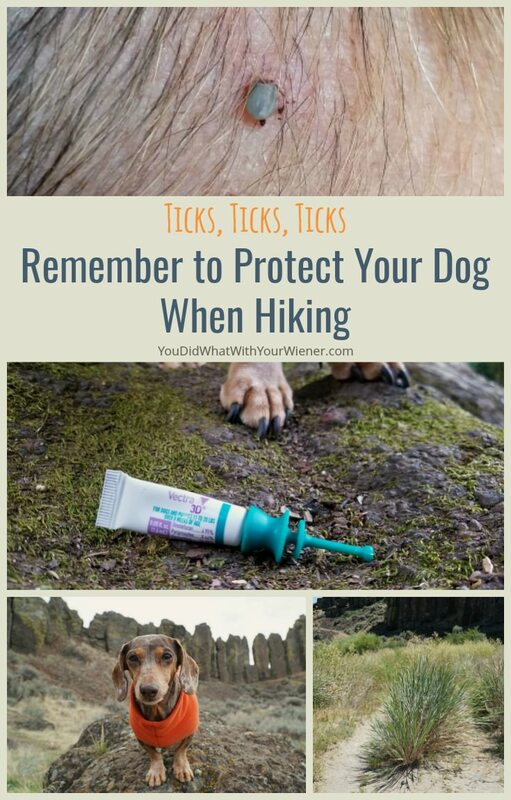 How do you protect yourself and your dog from ticks? Disclosure: I was compensated by Ceva Animal Health/Vectra 3D in exchange for my time spent sharing information about their products. I don’t accept stuff “in exchange for a review” unless I am sure I already like it because I won’t try to make something seem better than it is out of obligation. Thanks for trusting me on that. I just hate ticks. Thank you for a good guide and this video. They definitely creep me out. Little blood suckers! Ick!